Pneumonia and septicemia in foals are among the equine health issues being tackled by several groups of veterinary researchers, following grants of nearly $750,000 from the Morris Animal Foundation. 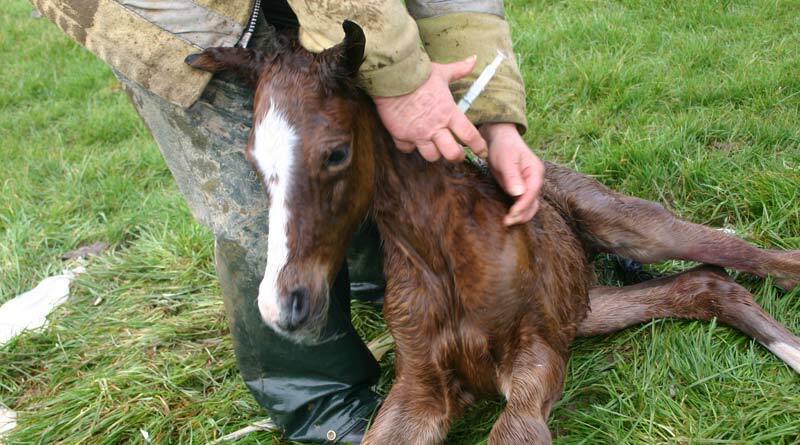 Two of the eight research projects awarded funding will look at foal pneumonia, with one group looking to determine if vaccinating mares will protect newborn foals against pneumonia caused by the bacterium Rhodococcus equi. The other group will investigate the mechanisms leading to development and transmission of antimicrobial resistance in Rhodococcus equi. In the third foal-oriented research project, researchers will determine the optimal intravenous and intra-articular dosing protocol for amikacin, an antibiotic used to treat bacterial infections in foals. Understanding the Roles of Diet and Insulin in Horses at Risk for Laminitis: Researchers will investigate how diet influences a horse’s gut bacteria (microbiome) and metabolism (metabolome) and impacts insulin, key information to understanding how to feed horses at risk for laminitis. The foundation is also funding a study into the genetics behind health problems in grey alpacas, making steps toward the development of a genetic screening test to improve the overall health of these animals. Research will take place at seven universities, including the University of Minnesota, North Carolina State University and Curtin University, Australia. “We were very impressed with the quality of research proposals we received this year, particularly in areas of equine health where we can make a significant improvement in the well-being of our horse companions,” said Dr Kelly Diehl, Senior Scientific and Communications Adviser at Morris Animal Foundation. Proposals are now being accepted for the next round of large companion animal research funding. Grant types are established investigator, first award, fellowship training and pilot studies. Proposals are due by Wednesday, July 11, 2018.